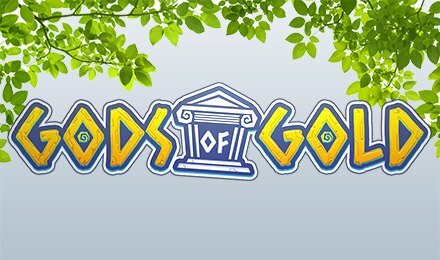 Gods of Gold Slots has a 94.47% RTP, Sticky Wilds, FREE Spins, Bonuses and more! Don’t wait one more minute – login and spin it to win it now! Ever wondered what ancient Greece was like? Well, now’s your chance to find out – play Gods of Gold Slots today! There’s a generous progressive jackpot as well as exciting bonuses. Look out for the Wild, in addition to the Lightning Wild, which can appear on the 3rd reel, triggering Sticky Wilds and FREE RE-spins. Plus, your Wheel of Fortune will begin when you spin 3 or more Bonus symbols on reels 2, 3 and 4. Good luck!